From April to June 2018, an external evaluation was conducted of the two projects; AcceleratingtheImplementationofRegionalPoliciesonCleanEnergyinWestAfrica(ACE) and PromotingImplementationoftheParisAgreementinEastAfricawithafocusonpro-poorlowemission development (PIPA). 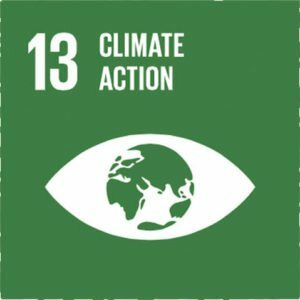 Both projects are financed through the Fund for Climate and Environment (FCE) for Danish CSOs’ interventionsinpartnershipwithCSOsintheGlobalSouth.ThefundsupportsDanishCSOs’cooperationwithpartner organizations, networks, and alliances to advocate for climate and environmental themes primarily at regional and internationallevels. The ACE and PIPA projects were assessed in an combined evaluation as they have a similar partner set-up with 3 local partners in 3 different countries from the same region. The projects also apply a similar network approach focusing on strengthening joint civil society advocacy interventions at the national, regional, and (for PIPA) international level by working through national and regional coalitions. Moreover, the two projects share a set of assumptions including thatshortprojectdurationsarenohindranceforjointregionaladvocacy campaignsonrathercomplextopics and thatmeaningfulrelationshipscapableofengagingandsharing can be established among the partners within the first year ofimplementation. Anindividualassessmentanddocumentationofthetwoprojectsinrelationtothestatedobjectivesand expected results against the DAC criteria including key lessons learned and recommendations for adjustments to future similarprojects’. Insights into and assessment of the commonalities of the 2 projects. The main emphasis should be on the approach of national and regional cooperation on joint advocacy including assessing the underlying assumptions behind the design of the projects. The project has made significant progress towards coalition building in Burkina Faso, Senegal, and Mali. An encouraging outcome is that all three countries have established coalitions of CSOs for the purposes of advocacy and promotion of renewable energies. All coalition members interviewed expressed that the project’s training workshops were important for them. The project played a particularly important role by building the Burkina coalition from the ground. Today 19 CSOs have signed coalition charter and the coalition has good outreach beyond the capital, as 9 of its members are province-based CSOs. The evaluation found that there is a good level of communication and collaboration among coalition members, which confirms that CEAS Burkina Faso’s network facilitation is good and open. The project was highly successful and performed better than expected in view of its budget size and short duration (18 months). The project had a robust and relevant implementation strategy that strengthened national CSO coalitions, thus influencing implementation of generally good pro-poor energy policies.The extensive level of media advocacy conducted by the three partners resulted in that the partners influenced more than the originally targeted 1500 stakeholders. The coalitions in the three countries have done very good work and have a high future potential. The project was timely, relevant, effective, efficient, and important as regards to the NDCs (national determined contributions), Paris Agreement, and CSO participation. The evaluation highlighted the strength of the PIPA partners in connecting local, national, regional, and international levels that seek to influence climate change policies. The East African networks demonstrated good capability throughout the jointn regional and international advocacy work. However, due to the weakness of the regional institution – the East Africa Community (EAC) – which receives little support from member states, there were significantly more achievements at the national level than at the regional level. A very relevant approach of the project was that advocacy should be rooted in national coalitions. It was particularly positive that the Ugandan coalition was consolidated and stable. It was a matter of concern that the coalitions in Kenya and Tanzania were notinstitutionalised and it was unclear which national CSO networks could play the key role on renewable energy and mitigation. 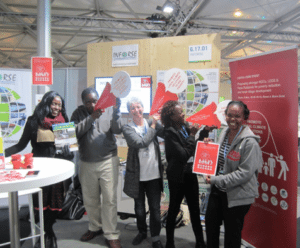 Overall, the PIPA project was a useful opportunity to distribute relevant information, raise awareness, build capacity, and raise the profile not only of the NDCs and the Paris Agreement but also of national climate change policy, by creating an enabling environment for effective CSO participation. The evaluation report notes that SustainableEnergy has not elaborated on its criteria for choice of partner organisationsin the two project documents. However, the evaluation team makes the general observation that there is a good reciprocal partnership between the local project partners and SustainableEnergy in both West and East Africa. SustainableEnergy’s partnership approach is characterized by openness, trust, and mutual respect. Partners and allies work for the same cause within sustainable energy. Bothprojects have a robust implementation strategy that strengthens national CSO coalitions. The coalitions are dynamic tools for advocacy, thus influencing implementation of generally good pro-poor policies at national level regarding access to renewable energy and energy efficiency – in ECOWAS and in the Paris agreement. One of the findings is that national coalitions of CSOs working on joint advocacy and lobbying can influence national policies more than single CSOs (working alone). It is a good way to involve several small and medium sized CSOs as opposed to only supporting a single (often bigger) CSO. Another positive aspect of the coalition set-up is that the relatively loose CSO coalitions allow for less administrative burden than making a network a formalised legal entity.